Producer of tile specialist in the manufacture of floor and wall for indoor and outdoor. Design 2 Positive is made by 38 colors in total, some of them already present in the collection D+ and other ones completely new, inspired by the new color trends in the most important design, furniture and décor exhibitions like Maison & Objet, Eindhoven, Stockholm Furniture & Light Fair, Salone del Mobile, Milan Design Week and Fuori Salone in Milan. And the inspiration come from nature and food as well. D_LASH 6 Colors floor 20x20 Rectified / Lappato-Rectified. 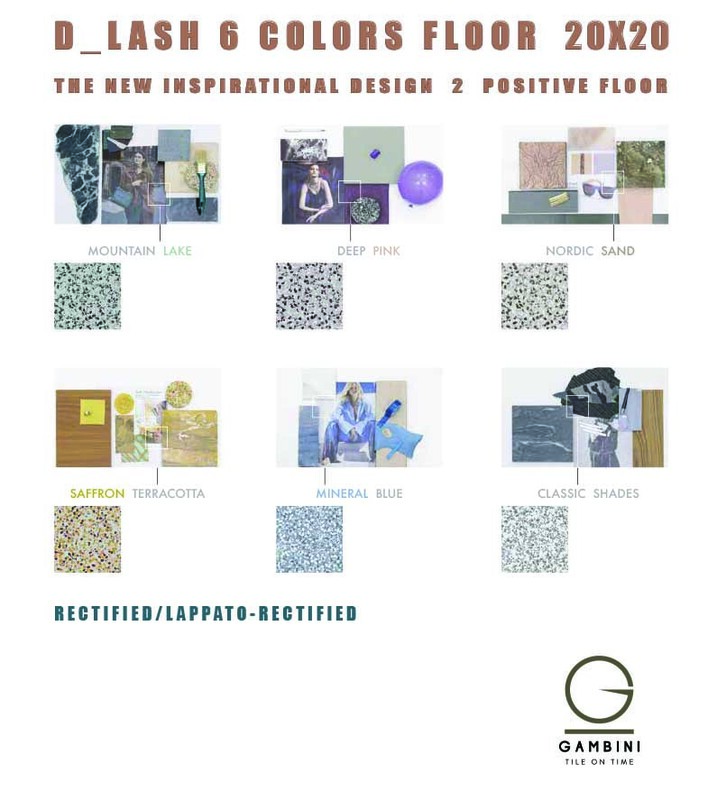 The new inspirational design 2 positive floor.